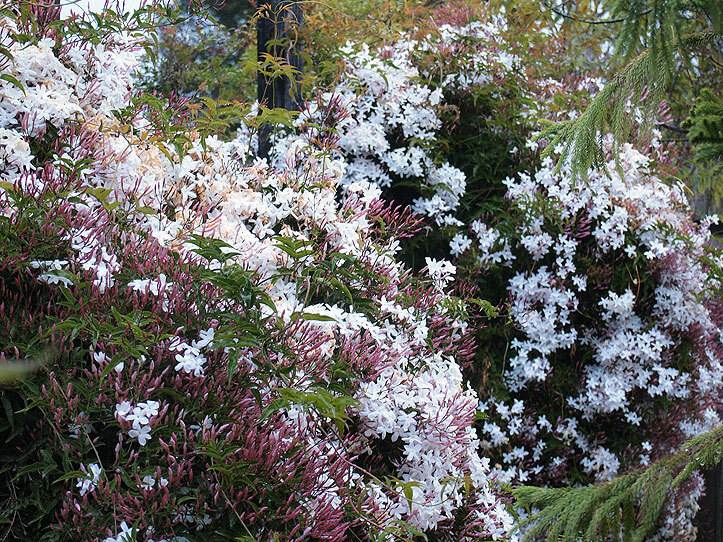 The jasmine is blooming profusely. It grows over our front fence near the gate to the backyard. The flowers are very fragrant. The plant is native to East and Southeast Asia but does quite well here and needs little maintenance, except for occasional cutting back when it gets out of control.